I was very satisfied with my overall experience from start to end! I ordered this necklace for my flower girl, I got married last month and decided to get it at the last second. The price was very reasonable for the quality of the product. I needed the necklace in just a few days of placing the order, I was almost positive I wouldn\'t get it in time for the day I needed it, but to my amazement the package arrived the day before I needed it & it shipped from Israel!!! Thank you for your amazing service, the experience was phenomenal. I felt very valued as a customer & would recommend this to anyone who is considering purchasing. 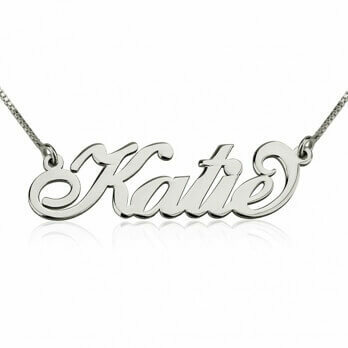 Love my new name necklace.. It\'s beautiful and shiny excellent workmanship. My first and middle name mean Christ and for this to come from Jerusalem makes it that much more special! Thank you so much. I purchased this necklace with my blog name. It arrived pretty quickly and the quality is wonderful. I could not believe how gorgeous the lettering is and the sturdiness of the piece for the price. I would not hesitate ordering another product again. I absolutely love my necklace. Looks better in person! Amazing quality and shine. I showered with it twice without noticing and it didn't turn! Will be purchasing more. Good quality, beautiful piece, arrived very quickly. So far, no negative remarks. So happy with my sterling silver monogram necklace. Love the lettering and the way it all came together. Will definitely buy as gifts. I am very happy with both the product and the service at Onecklace! I ordered a name necklace. First I received a wrong one. The name was wrongly spelled. I got a friendly answer the same day I \"complained\" and they made and send me a new necklace immediately! Thanks for that! I recently purchased the 2 letter initial necklace, and was a little surprised about how large the letters were...I thought they were a little large for a feminine necklace. But I kept it and wore it anyways. I then received an email asking how how happy I was with my purchase. So I replied honestly, telling them that I thought it was a little big, but I still wore it. They replied, saying that they wanted me to be 100% happy and and that they would remake the necklace smaller at no charge but I would have to pay for shipping. I received the smaller necklace and I am SO happy with it. I really love it and I have gotten many compliments on it. I am 100% happy with my purchase and this company! I would recommend them to anyone, and I will definitely use them again in the future! This necklace is way more beautiful in person. Although it\'s delicate, I\'ve been able to sleep, run, and dance with it on without the slightest bend. I absolutely love it! This necklace is absolutely beautiful in craftsmanship and design. I get so many compliments. 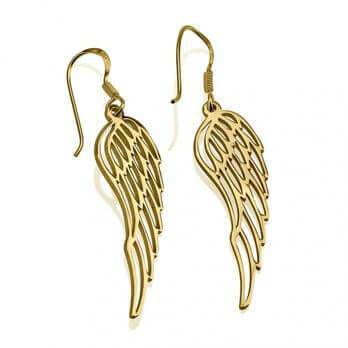 I received these earrings a few weeks ago and have worn them nearly every day! Well made and beautiful, these earrings are quality pieces of jewelry that I will enjoy for years to come! Thank you! I ordered a necklace for one daughter as a birthday gift and we were so impressed with the quality I ordered another for my other daughter. They both opted for the Carrie in sterling silver. The box chain is nice and strong. They\'re just perfect! i really like how my necklace came out - i get random compliments from people on it. the one thing that\'s mildly annoying is that the chain tends to catch in the back part of the loop on top of the charm where it folds. other than that, love it! 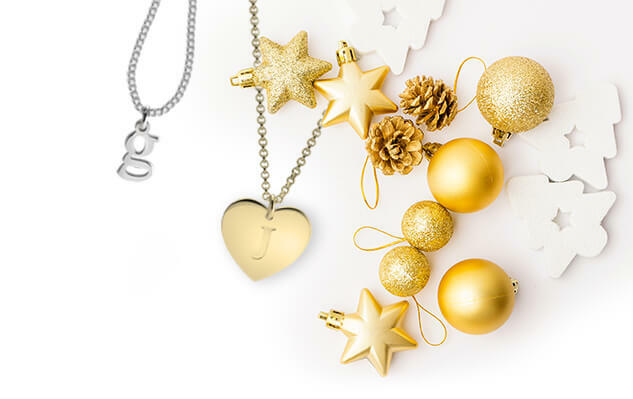 I purchased the necklace because I like.sleek,elegant, and personalized jewelry and this necklace is all of those things. I get lots of compliments on my necklace. Next I will get one of the name rings and a silver necklace in a design. Very afforfdable and nice for the price. I really love my necklace! I've had many comments on it..one person wanted your link so she could buy one. I'm very happy. Thank you. Gave this necklace to my granddaughter for her 21st birthday. The workmanship is beautiful and she loved it. love my new name plate necklace! I\'ve been wearing it since the first day i received it. delivery was quick and product is true to description. I received the package but the gift box was missing. I was impressed for the excellent service from the customer service team to resolve the problem and make sure I was satisfied. Thank you for your prompt service! Absolutely loved my gold plated Carrie style name necklace. The quality of the necklace is exceptional and although I was hesitant about not seeing how my name would look before purchasing, I was 100% happy with the way it turned out.I would definitely recommend Onecklace to anyone.